We first add a character to the level. 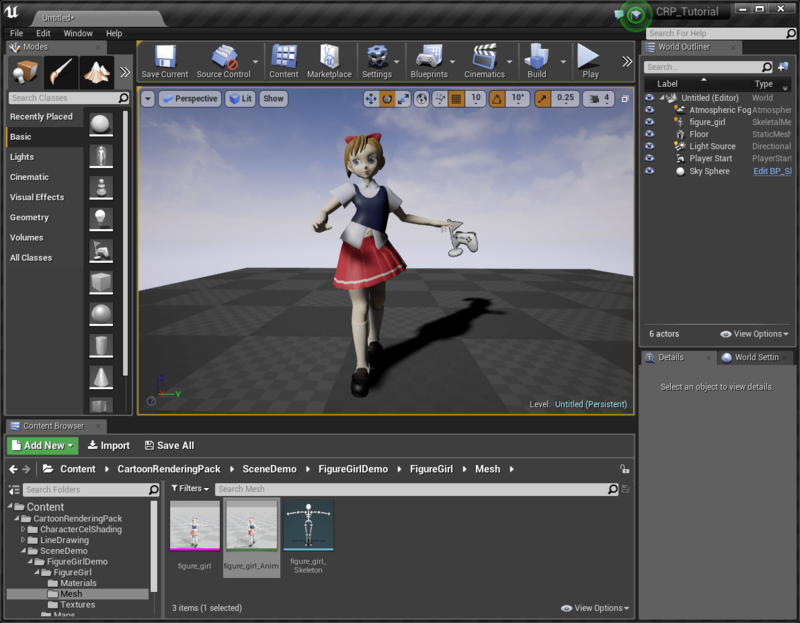 The character we will use for this tutorial is an animation character figure_girl_Anim at SceneDemo\FigureGirlDemo\FigureGirl\Mesh. we add it to the level and transform it appropriately.